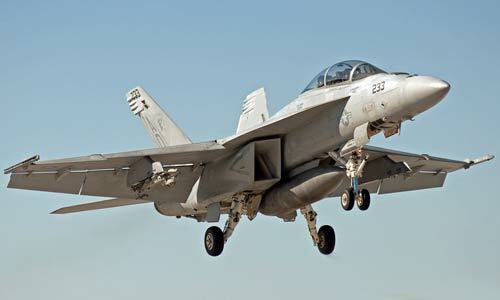 Boeing’s decision to manufacture advanced medium combat aircraft, Super Hornet in India, has run into a fresh hurdle with issues over their export. Michael Koch, who is Boeing’s President for Defence, Space and Security in India, told BusinessLine that the aircraft maker is committed to producing Super Hornets in India. “The Super Hornets will be built in India in a world class advanced manufacturing facility with the very latest technologies in place, perfectly positioning India to build its Advanced Medium Combat Aircraft (AMCA),” he said. But sources in the Defence Ministry said the issue of exporting the fighter jets manufactured here remains a key question which needs to be answered for the project to take off. “One needs to understand that in India, the government is the buyer. And it can buy only so much. So, if a company is setting up a plant to manufacture these planes here then after a point their production will halt. They have to look for exporting them to other countries,” the official said requesting anonymity. The official also added that even if there are plans of shipping these planes, there will be riders coming along with it because India cannot have these jets to be shipped to the “enemy countries”. With the most advanced technologies, designed in stealth and a robust capability growth plan, the Super Hornet offers advanced multi-role attack fighter capability that is suited to meet the needs of the Indian Air Force. Koch pointed out that the Super Hornet not only has a low acquisition cost, but it costs less per flight hour to operate than any other tactical aircraft in US forces inventory. That includes single engine fighters, which many would incorrectly assume are cheaper to operate. “The lethality of the Super Hornet is as game changing, as it is versatile. The Super Hornet fighter is the most advanced fighter being considered,” he said. Koch also said that Boeing’s business strategy has a dual focus in India – firstly, to provide a winning platform to our military customers, with reliable and fuel-efficient products, underscored by life-cycle support services; and secondly, to create an eco-system for the aerospace industry in India, through partnerships with local companies. Significant portions of the Apache and Chinook helicopters will be made in India. While the Bengaluru-based Dynamatic Technologies manufactures the ramp and pylon for the CH-47 Chinook helicopter in India, Boeing last year also announced a joint venture with Tata Advanced Systems Ltd (TASL) to manufacture aerostructures for aircraft. “Boeing also sees future opportunities for providing additional P-8I long-range maritime reconnaissance aircraft, aircraft refuelling tankers and weapons such as Harpoon missiles, unmanned systems and services and support,” Koch said. He said Boeing has maintained its delivery schedules all along. For example, 10 C-17 Globemaster III strategic airlifter aircraft to the IAF were delivered on schedule in 2013 and 2014. With the 10 deliveries, India became the largest international operator of the C-17. Boeing also delivered all eight P-8I maritime surveillance aircraft to the Indian Navy by the end of 2015, all on time and budget.